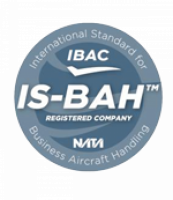 Lisbon Airport’s Sky Valet FBO stopover has just obtained IS-BAH certification (International Standard for Business Aircraft Handling). Created by Business Aviation operators and professionals, IS-BAH is issued by the International Business Aviation Council after an independent audit. It certifies that the Sky Valet stopover in Lisbon meets demanding criteria, guaranteeing best practices in the fields of safety, security and the environment which are related to ground handling. This certification forms part of the development strategy for Sky Valet (first European group for Business Aviation ground handling) in an effort to establish a pan-European FBO network in the following key regions: Cannes Mandelieu (IS-BAH Level 2 certified), St-Tropez, Paris-le Bourget and throughout all of Spain and Portugal.